Knowing exactly how to navigate a negotiation — at work or in your daily life — can play a huge role in you getting the promotion or deal you want. “Everyone negotiates every day, whether they know it or not,” says Paul Wolfe, senior vice president of human resources at Indeed.com. “[The negotiation] might be as small as who picks up the kids from school, or as large as a new job. They all are important.” But when it comes to the actual process, it can often be intimidating to think about where to start. So we went to the experts to ask for some advice. Here are their suggestions to help you get what you deserve. It can be impossible to find common ground if one person dominates the discussion. “Most successful negotiators I know listen far more than they talk,” says William Ury, author of Getting to Yes: Negotiating Agreement Without Giving In. When you listen and don’t interrupt, you are showing the other party respect, which will often be rewarded later. And when you pick up nuggets of valuable info by actively listening, you are able to maneuver the conversation into favorable ground, or to know when to drop a subject. Maybe they have more money in the budget, or can offer extra vacation time. It’s important to hear what’s being said to know how to react. Preparation is key to any successful negotiation, whether you are buying a car, asking for a raise, or applying for a new job. Understand what’s expected of you, and know how your experience, skills, accomplishments, and abilities relate. “Data is everywhere these days that allows you to research any company, career choice, or job. Use it to your good,” Wolfe says. Consult friends, trade groups, online reviews, and other resources to get a broad picture of what’s going on inside your industry. Take the time to map out exactly what you want to accomplish. “Don’t shoot for what others have, but instead focus on what you actually want,” says Mark Rodgers, author of Persuasion Equation: The Subtle Science of Getting Your Way. “I tell people to define it like this: ‘If you want it bad, you will get it bad.’ ” According to Rodgers, an example would be that you’d be willing to pay a specific amount over your budget for a house if it’s in an ideal school district or neighborhood. Sometimes things don’t work in your favor. If that happens, what do you do? “You need to know what you would be willing to take if you cannot come to common ground. 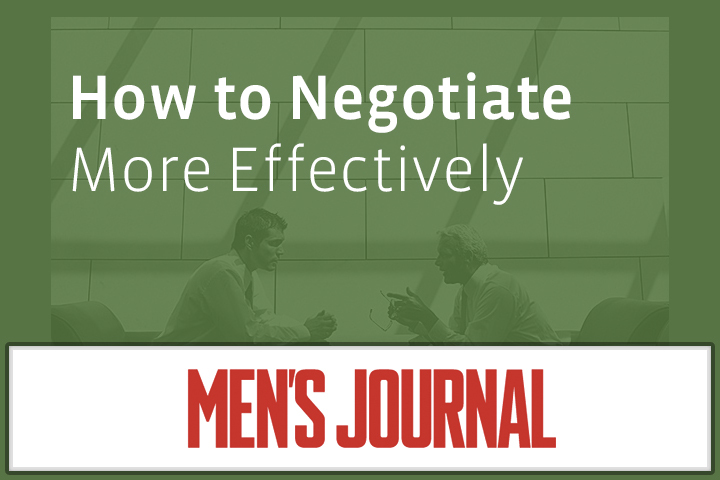 What is your Best Alternative to a Negotiated Agreement (BATNA),” Ury says. Having several options and a defined set of goals, plus outs, allows you to maintain control. 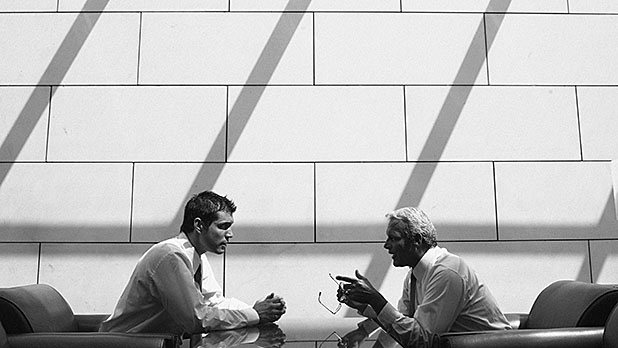 Define what your actual motivations are before entering into any negotiation. “We get into positional battles without asking the most crucial question: ‘Why do I want that?’ ” Ury says. Maybe what you really want is time off, instead of a new title. Or, say you’re meeting with your real estate agent before closing on that new house; maybe you want the previous homeowners to pay for specific fixes before you move into the place. At any rate, make sure you know before you ask for a meeting. In a screen-dominant culture, we can sometimes forget the importance of in-person contact. But it can help your negotiation. “Face-to-face is crucial. It lets you set the tone and read the other person’s body language,” Wolfe says. If you can’t meet in person, opt for Skype, Google Hangout, or on the phone. You must be comfortable getting up from the table, politely thanking all involved, and walking away. And before you head into any negotiation, clearly define your limits. “If you don’t know when to say when, then your negotiation can turn annoying to others because they think you have not heard them, or are not listening, or even worse, you can come across as begging,” Wolfe says. If it makes sense, walk into your meeting with a number or range in mind, based on the research you’ve already conducted. But know what you’re worth, and avoid underselling yourself. “Always negotiate with higher, but realistic aspirations than what you think you might get,” Ury says. “It gives you wiggle room and often better results than you might have deemed possible.” Selling a house? Asking for a raise? Go (appropriately) big, friend. In high-stress situations, it can be easy to make snap decisions based on emotions. We often get focused on why we need to make the deal and forget all logic. “Our biggest opponent in successful negotiations is not the other side, but ourselves,” Ury says. “I often tell people, when they get angry, they will make the best speech they will always regret.” Ury’s advice is to “go to the balcony” to think about the situation without overreacting. If you need to get up and go to the bathroom, ask for a break, go for a walk, wait before sending an email — do it. The break will allow you a chance to cool down and refocus on what really matters. No Replies to "How to Negotiate More Effectively"